Sturgis is the seat of Meade County located in west central South Dakota. It rests among the Black Hills near the border of Wyoming. Sturgis is served by I-90 and State Highway 34. 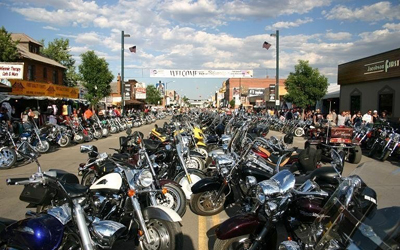 There's a lot more to see and do around Sturgis than just what's described here. Contact us today for more information on our area. You're invited to contact United Country Bertolotto Real Estate & Auction Co., Inc., of Sturgis South Dakota. We can save you time and money in locating real estate throughout Sturgis, Meade County and the areas that surround West Central South Dakota. We offer a fine selection of homes for sale, farms and ranches, mountain property, recreational land and businesses for sale.